Podcast Summary: Kathleen Mills and Phillip Crum discuss digital ethics in the mental health field with Roy Huggins, Person Centered Tech. Things you never even thought to ask about the gadgets you use every day. Electronic Devices And HIPAA: Compliance Is Mandatory! Podcast Summary Stop and think about how many electronic devices you use everyday, just in the course of your work! Are they all HIPAA compliant? Are you assuming that “they” take care of that for you? You may be surprised as you listen to Travis Good and Kathleen Mills discuss the finer points of this topic. You’ll want to know these safeguards to protect yourself from unwanted trouble that could end your practice. 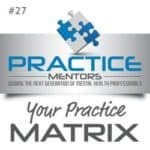 Podcast Summary: Tod Ferran, an expert in HIPAA compliance procedures, discusses several programs to help mental health counselors and related professions, get “up to code”. WARNING: This material is not for the faint of heart, believers in the existence of unicorns, or rainbow chasers. You may wish to get something to write on, to write with, and a couple of crying towels before you begin the interview. Podcast Summary: Tod Ferran discusses Hipaa compliance regulations for mental health professionals with Kathleen Mills and points out the folly in thinking that someone else. or another entity, is going to take care of your obligations for you.